Citizens Bank believes that a strong bank sits at the heart of a healthy community giving loans to our neighbors, investing in local businesses, supporting local community initiatives, being responsible towards the environment, and generally contributing to the health of the community. Because not only is good banking good citizenship, good citizenship is good business. Last year, Citizens Bank remained steadfast in our commitment to being a good corporate citizen by investing $21 million through charitable giving and sponsorships to support more than 3,000 nonprofit organizations that make our communities stronger and healthier. RBS Card Services, headquartered in Bridgeport, Conn., provides both consumer and commercial credit cards nationally. It manages 1.9 million U.S. customer accounts for the subsidiary banks of Citizens Financial Group under a variety of brands including Citizens Bank, Charter One and RBS It takes a lot of good things to make up a good bank. Good ideas. Good practices. Good execution. And more than anything else: good people. We have a lot of them ñ more than 22,000 in all. People of all backgrounds coming together to create a culture dedicated to serving our customers and our communities. 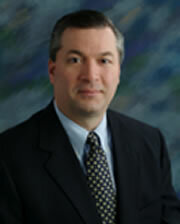 Joseph A. Hoffman is President and CEO of RBS Consumer Lending Solutions. Mr. Hoffman joined RBS Card Services in May of 2004 as the Chief Marketing Officer for RBS US credit card operation, a position to which he brought nearly 25 years of diverse credit card experience. Prior to joining RBS, Joseph spent six years with Metris Companies, where he held a variety of senior management positions the last of which was Executive Vice President of Marketing and Operations. While at Metris, he was also a board member of Direct Merchants Bank, Metrisí legal vehicle, and the Metris Foundation. Joseph also spent four years at Advanta where he held a variety of positions including Vice President of Brand Management and Vice President of Affinity and Co-Brand Marketing. Before joining Advanta, Joseph was Vice President, Area Director, in Citibank's Card Product Group, which he joined in 1980. During his 14-year tenure with Citibank, he held a variety of marketing and operations positions within Citibankís Bankcard and Private Label businesses. He is a graduate of Loyola College in Baltimore, where he received Bachelor of Arts and Master of Business Administration degrees. He has been on the MasterCard Business Committee since 1998. He also serves on the board of directors of the Fairfield County Community Foundation. Joseph resides in Trumbull, Connecticut with his wife and two children. Lori Lindfors is Senior Vice President, Director of Community Investment for Citizens Bank of Connecticut. In this role, Lindfors oversees corporate compliance of the banks CRA division. Lindfors is responsible for managing Corporate Giving through Citizens Bank Foundation throughout CT representing both RBS Card and Citizens Bank.Lindfors joined Citizens in 1993 as part of Citizens Bankís first acquisition outside of Rhode Island and was promoted to Director of Community Investment in 1994. Lindfors is responsible for the development and implementation of the CT CRA program to ensure all lending, service and investment goals are attained within each local market. She is responsible for establishing and maintaining effective working relationships with community based, charitable, and non profit organizations. She has demonstrated her leadership skills by developing strategic alliances both internally and externally resulting in the ìOutstanding CRA Rating Citizens Bank has enjoyed since 1993. Lindfors serves on the Board of Eastern CT Housing Opportunities, Lawrence & Memorial Hospital Finance Board, LISC Statewide Board, Fairfield Housing Collaborative, CT Association of Human Services, UCONN Avery Point Advisory Board, The House New London Housing Board, CT Housing Coalition., CT Council for Philanthropy, Appleseed Financial Access for Immigrants committee, a Lawrence and Memorial Hospital Corporator. Lindfors has also served as Board President of Elmseed Peer Based Micro Loan Fund with Yale University, United Way, Federal Reserve Bank of Boston Community Advisory Board, Dr. Martin Luther King Scholarship Committee, Treasurer of Alliance for Living AIDS Project, and Urban League of Greater Hartford Fundraising Committee. Lindfors resides in Norwich, CT with her husband, Bart and has five children. 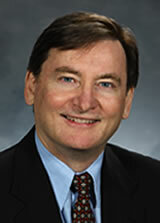 Joseph J. McGee is Vice President, Public Policy and Programs for The Business Council of Fairfield County. Joe has worked extensively with the business community, civic organizations and government officials in the areas of economic development, transportation, affordable housing, energy conservation, environment and tax and fiscal policy. His community leadership roles reflect his commitment to these priorities. He is a member of the boards of The Fairfield County Community Foundation, The Housing Development Fund, The Connecticut League of Conservation Voters, and The WorkPlace, Inc. Before joining The Business Council of Fairfield County, Joe was Commissioner of the Connecticut Department of Economic Development, Chairman of the Connecticut Development Authority and Chairman of Connecticut Innovations, Inc. from 1990-1994, Vice President at Peopleís Bank between 1979 and 1990. Prior to joining People's Bank, he served as Staff Director for Congressman Stewart McKinney, from 1971 to 1978. Charlotte T. Suhler grew up in the Midwest, graduated with BA from Southern Illinois University and worked in Chicago, then married and moved to East Coast. Growing up in the 50’s and 60’s made her not only aware of discrimination of blacks, but of women. She was one of three women in the School of Journalism, specializing in advertising. As a newly married, Charlotte Suhler had the great luck to work at New York Magazine with Gloria Steinem, Gail Sheehy, Milt Glazer, Tom Wolfe and Clay Felker. Through her husband, she met Betty Harris and the two started a newsletter for women. It was a failure but the response from those who did want to subscribe was overwhelming. It encouraged Charlotte to introduced Betty Harris to Gloria and Clay, and the result was MS Magazine. Settling down in Connecticut, she chose to stay at home with her two young daughters, but got involved in many activities locally, the YWCA, PTAs, and politics. Her service on the Darien Board of Education led her to the Board of Selectmen and many years of activity in local, county and state politics. Her involvement with Five Town Foundation moved forward to form Fairfield County Community Foundation. She was a founder of the Fund for Women and Girls which is the largest fund within this now hugely successful foundation. The initial focus of the FWG was housing, which a county wide survey revealed as the highest unmet need for women of Fairfield County at that time. With little money at the time, FWG initiated loan funds for down payments and security as well as financial educational programs. The look on the faces of women in their first apartments and homes was an emotional experience for everyone involved. It was this experience and the realization of the incredible need for affordable housing in Fairfield County that led to Charlotte Suhler’s advocacy role in affordable housing by chairing the Darien Affordable Housing Advisory Commission and the Fairfield County Collaborative Fund for Affordable Housing, which contributes operating funds to not for profit builders, HomeCT steering committee, advisory committee for FWG, and now advisory committee for FESP (Family Economic Security Program) at NCC. 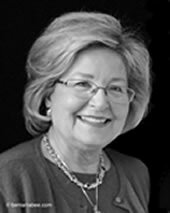 Charlotte Suhler also serves on the Norwalk Community College Foundation Board as well as chair of Fairfield County Women’s Center, located at Norwalk Community College. 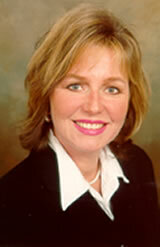 She is the recipient of a 2010 Woman of Distinction Award from the YWCA Darien-Norwalk. She is happily married to John Suhler, private equity guru and has three daughters who have blessed them with three wonderful grandsons.